Designed to protect your upper thighs in combat, the Ratio Thigh Guards are crafted from top-grain leather, leather cord stitching, and shield-shaped steel plates. The leg armour protects without slowing you down with unnecessary weight. The leather tassets are secured in place by attaching them to the Steel Ratio Lamellar Armour (MCI-3076). Made with galvanized mild steel and top-grain leather, this thigh armour is designed to work well for LARPing and re-enactments. 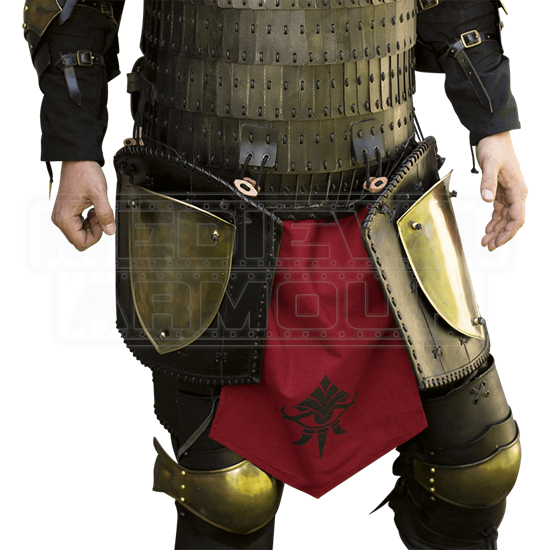 The Ratio Thigh Guards are licensed ConQuest armour. ConQuest is the biggest LARP gathering in Europe.